How to count monetary units through a Java program ?. 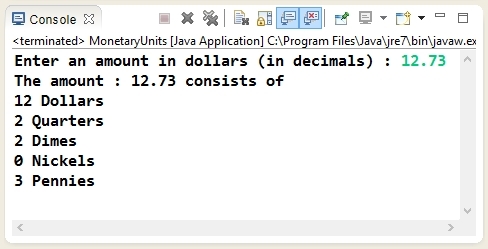 Program to demonstrate how to count monetary units through a Java program. // Convert the amount into cents by multiplying it by 100. // Displaying the result on the console.